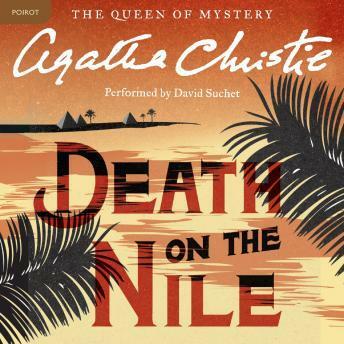 Beloved detective Hercule Poirot embarks on a journey to Egypt in one of Agatha Christie’s most famous mysteries, Death on the Nile. The tranquility of a cruise along the Nile was shattered by the discovery that Linnet Ridgeway had been shot through the head. She was young, stylish, and beautiful. A girl who had everything . . . until she lost her life. Hercule Poirot recalled an earlier outburst by a fellow passenger: 'I'd like to put my dear little pistol against her head and just press the trigger.' Yet in this exotic setting nothing is ever quite what it seems. Agatha Christie & Hercule Do it again! The narration was fantastic for this book! The story is typical Agatha Christie and great through the end.